Foxsmith have recently revealed their latest single, Pentimento. Recorded and mixed by producer Yanto Browning (The Medics, Tara Simmons, The Jungle Giants), this second offering from the four-piece is laden with lush melodies, beginning quite intimately before snapping into catchy guitar and synth hooks. Stirring yet comforting, Pentimento explores existentialism and follows the bands new direction into darker, shimmering soundscapes and grooves. 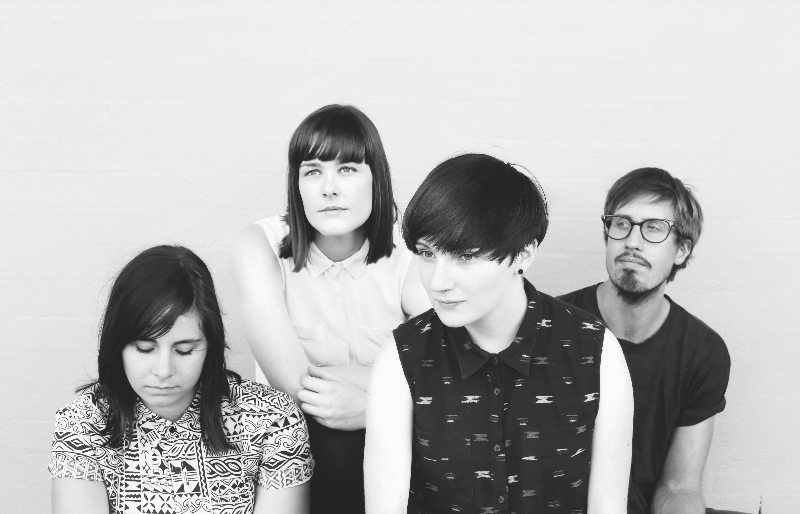 The track is a greatly anticipated follow up to their first single Wake Up which was well-received, gaining airplay on local and online radio stations including Triple J Unearthed, 3RRR and 4ZZZ, where it was added to rotation and remained in 4ZZZ’s Top 10 for over a month in December/January. The video clip for Wake Up was premiered online through Groupie Magazine and featured on local and international music blogs including Mess+Noise, City & Sound and Ground Sound LA to name a few. Accompanying their new track is an animation by local Brisbane artist Seana Seeto who takes the viewer through many worlds following the journey of a blob-shaped protagonist, a harbinger of mishaps. For the release of this new single and animation clip, Foxsmith are hosting a collaborative arts event featuring local Brisbane bands and an artshow on Saturday 16 August at The Zoo in Brisbane.